In this featured article, J.Warner Wallace addresses the question, "Why is God so hidden?" Further, William Wilberforce's book Real Christianity is also highly recommended! In this lecture, author, speaker and apologist Greg Koukl explains some of the tactics one can use when discussing their Christian convictions. Koukl's book Tactics is highly recommended! For more of Koukl's work, check out Stand to Reason. In this featured blog post, Dr. Tim McGrew continues to explain the "Undesigned Coincidences" found in scripture. In this lecture, John Lennox, Professor of Mathematics at Oxford University, discusses the question, "Is God fact or fiction?" You can checkout Dr. Lennox's books here. Finally, here is his first debate with Richard Dawkins. The second can be found here. In C.S. Lewis's essay "On the Reading of Old Books" he recommends readers work through one old book for every modern book they read. "Every age has its own outlook. It is specially good at seeing certain truths and specially liable to make certain mistakes. We all, therefore, need the books that will correct the characteristic mistakes of our own period...The only palliative is to keep the clean sea breeze of the centuries blowing through our minds, and this can only be done by reading old books. Not, of course, that there is any magic about the past. People were no cleverer then than they are now; they made as many mistakes as we. But not the same mistakes." You can read Lewis's entire essay here. Audio can be found here and here. 1. The Last Word by Thomas Nagel, Oxford University Press: 1997. 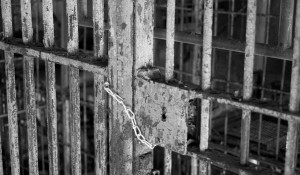 Why Doesn't God Reform People Rather Than Punish Them in Hell? Why Would God Punish Finite, Temporal Crimes in Eternal Hell? I came across the subject argument this week. The argument is prefaced with the statement that by definition, personhood depends on consciousness at any extent, the capacity of cognition, and the capacity to interact with other persons. All of these things are then categorized as "mind" and, therefore, a mind of some sort is necessary for personhood. I agree that a mind is necessary for personhood. F1. The evolution of species demonstrates that development of the brain obtains a corresponding mental development. F2. The same principle is demonstrated by brain growth in individual organisms. F3. Brain damage destroys mental capacities. F4. 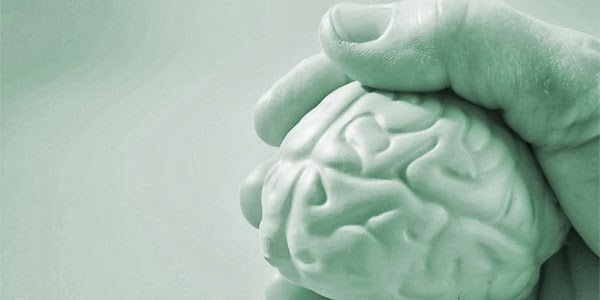 Experiments and measurements on the brain (EEG, stimulation of various areas) indicate a correspondence between brain activity and mental activity. F5. The effects of drugs show correspondence between brain activity and mental activity. Let us grant the conclusion; a brain is necessary for the existence of a mind. Since, we agreed above that a mind is necessary for personhood, it follows then that the existence of personhood requires a brain as well based on the conclusion in the previous sentence. 2. Probably, no organic mind can exist without a brain. 2b. Probably, no mind can exist without a material, computational substrate. 3. A god cannot be material. 4. A god, if it exists, has a mind. I think this argument falls right out of the starting gate with premise 1. Here is why. First, we agree that a mind is necessary for personhood, however I see no reason to think that personhood is "organic". Consciousness, cognition, and interaction with other persons are not organic objects. Further, if personhood and the mind are nothing but organic brain activity, the first premise should read "None of the brains brains have observed can exist without a brain" for the prefaced language and "facts" make personhood, the mind, and the brain all synonymous. I see no reason to think that this is the case. We clearly see this association in the "generosity" to extend premise 2. Second, I do not understand how premise 1 is deduced from F1 through F5. I think at most it can only be deduced from these facts that brain activity and mental activity are correspondent. Those are my thoughts (And only I could have revealed them. No one could have determined them by examining my brain activity) on where I think this argument fails. Feel free to leave your thoughts on the merits or failings of the argument. Of course I think you know better than to accept this, but you may be intimidated by scientists in white coats telling you that you aren't really feeling love, you're just having a chemical reaction. You're not really seeing something beautiful, this is just light of various wave lengths. You're not really hearing something wonderful, it is just vibrating molecules. But there is a deeper problem. If consciousness is just a property created by the brain, then when you make a decision who or what does the deciding? If consciousness is a mere effect of chemical reactions in the brain, then your conscious act of deciding is not a free will act of your own, it is a result of some physical process that came before it. Your choices are controlled by physical events outside of your will. To put it more bluntly, you have no will at all. Not really. Why not? According to this view, physical states produce particular mental states, which produce particular physical states all following one after another in a determined pattern just like railroad cars following an engine. guess what? You have not only lost the rose and Beethoven and your teenage puppy love, you've lost you, too. And by the way, that is exactly what this article says. Again, you can read the article in its entirety here. Last year a relative encouraged me to read a book entitled Heaven is for Real by Todd Burpo and Lynn Vincent. The book tells the account of 4 year old Colton’s experience after a medical crisis. Upon his resuscitation, little Colton was able to tell his family amazing things that they claimed he could not have known. For example, Colton claimed to have met a sister that was miscarried that he didn’t know about. After reading the book, I remember thinking that Colton’s alleged experience, while fascinating, wasn’t concrete enough for me to say, “Okay, I believe it.” I simply needed more evidence and background knowledge about Colton and his family. I had heard scholars such as Gary Habermas  and J.P. Moreland discuss near-death experiences and while I always found these accounts intriguing, I never imagined I would reach a concrete conclusion on how reliable they were. For me, near-death experiences [NDEs] were possible evidence for the existence of God and the afterlife, but how could one really know for sure? Therefore, I never imagined them finding a home in my personal apologetic. 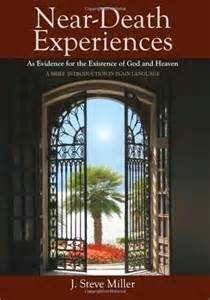 Well, as often happens when one reads a solid work on a given topic, my pre-suppositions have been challenged by author J. Steve Miller in his book Near-Death Experiencesas Evidence for the Existence of God and Heaven. I suspect a result of his skepticism is Miller’s tendency to exhaustively document and research each claim that he makes and in many cases offer resources for the reader to explore a given topic more in-depth. This is a great lesson for those seeking God. This reviewer was impressed with the results. Miller’s efforts certainly paid off as this book, while simple to read, doesn’t sacrifice any precision in its explanations. As a result, the reader is treated to overviews of works such as Dr. Raymond Moody’s seminal 1975 study Life After Life and Dr. Pim van Lommel’s Consciousness Beyond Life: The Science of the Near-Death Experience. Both Moody and van Lommel’s backgrounds are fascinating. Neither grew up believing in God or life after death, but through their exhaustive research on NDEs changed their minds! Finally, Miller provides the reader with a wealth of information and resources should they want to explore NDEs more in-depth. If one desires to begin researching NDEs, I can’t imagine a better work to start with than this one. 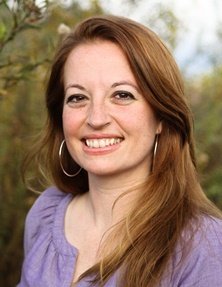 In the Preface, Miller spends his time explaining why the book was written, his personal background and how his background informs his study of NDEs. In Chapter 2, the author surveys many of the works he studied (some I’ve already mentioned above) on NDEs and reports that NDEs are not only written about in books, but in scholarly, peer-reviewed literature. The chapter continues with the author sharing numerous statements from the many NDE reports he personally read. I was surprised to see the commonalities in these reports. Details such as the presence of a being of light, an overwhelming feeling of peace and the awareness of the absence of time were just some of the things those who claimed to have experienced an NDE reported. Further, follow up studies have shown that those who've experienced NDEs are most often times changed permanently by the experience. In response to this, Miller first points out that the materialist will often offer as proof to sustain this objection that as we age, our minds tend to work less efficiently. Miller then spends the rest of the chapter examining 12 known facts [“exhibits”] about NDEs and argues persuasively that the spiritual explanation is the more robust one. Finally, in Chapter 6, the author assesses what exactly we can learn from NDEs about other worldviews and about God. According to Miller, and this reviewer agrees, if NDEs are a reality, they are incompatible with naturalism. Further, I would also argue, along with the author, that philosophical materialists, determinists, deists and pantheists are going to find their worldview inadequate to explain the data observed from NDEs. This chapter ends with the author explaining what the evidence from NDEs tell us about God. Before reading Near-Death Experiences as Evidence for the Existence of God and Heaven, I would not have imagined using the reality of NDEs in my personal apologetic. However, Stephen Miller has removed many of the false assumptions this reviewer had before reading his book. 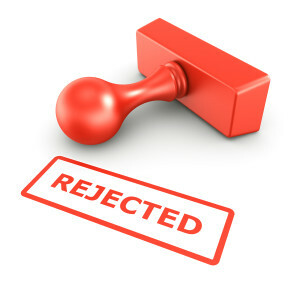 The evidence for NDEs is persuasive and surely should cause the naturalist pause. Miller’s self-confessed skepticism I believe proved to be an asset throughout this work. His writing is well-documented, persuasive and well-argued. Further, in many parts of the book he seemed to anticipate a possible objection to his arguments and dealt with the objection thoroughly and convincingly. If you desire to learn more about the reality of NDEs and what they tell us about God and Heaven, in a way that is easy to understand, this is surely the book for you. Miller takes what is many times a very technical discussion and puts it on the bottom shelf where all can enjoy. Note: As stated in the review, Miller thoroughly documents his claims and provides numerous opportunities for the reader to study NDEs more in-depth. Appendix 1- Do NDEs Differ Across Cultures? Appendix 4- But is the Evidence Scientific? You can't assume something is fact just because someone states it as such. False dichotomies are the bread and butter of overly simplified faith discussions. A person can quote the Bible without knowing anything about the Bible. What passes for "common sense" has no bearing on truth. As Christians, we must remain motivated by love in our discussions. You can checkout the entire article here! 2. John 8:23; NASB, Emphasis mine. 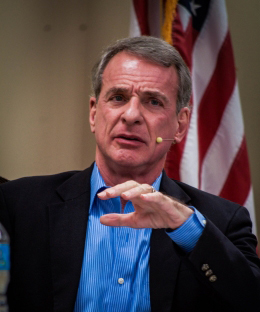 In this featured article, Dr. William Lane Craig deals with some of the possible challenges the follower of Jesus Christ could face when they claim, as Jesus did, that Christ is the exclusive way to heaven [John 14:6]. I especially like Dr. Craig's treatment of the question, "What about those who have never heard the gospel?" Anyone seeking God in truth will find Him and be accepted by Him. The heathen of any land – even ours – will seek his Creator only if God has already moved in his heart to do so. If God is moving in that person’s heart, nothing will keep him from the content of the Gospel necessary to complete his work of faith. However, this isn't the real issue for you and me. When each of us faces God, there will be no discussion about the heathen who never heard. Instead, the question will be: What about those who have heard? What about you and I? Did we bend the knee and ask Jesus to forgive us? 1. Koukl, Greg. Worshipping the Unknown God: The Heathen and Salvation. Clear Thinking. Vol. 1 No. 2. Page 14. The Manuscript is the oldest complete manuscript of the New Testament that exists today. It dates from the fourth century and extensive studies of it have verified the antiquity and quality of its text. Currently, the initial 43 leaves are located at the Leipzig University Library. The principal portion of the Manuscript is located at the British Library. Parts of six leaves are at the National Library of Russia and further portions remain at the Monastery. If you are interested in learning more about the Codex Sinaiticus you can go here. What Investigative Principle Does Every Christian Need? Why Does Every Christian Need Abductive Reasoning? 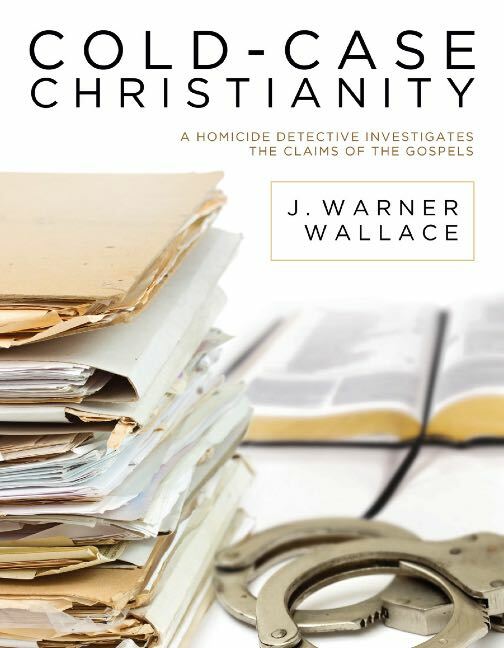 How Can We Reasonably Examine the Evidence for Christianity? Can We Trust the Gospels if They Were Written by Christ's Followers? For more from J. Warner Wallace's work, go here. Further, you can checkout the comments section here for a great discussion of the argument! Many thanks to J. Warner Wallace for drawing attention to it on twitter! Last week, we featured this interview with Dr. Tim McGrew in which he discusses some of the "undesigned coincidences" that can be found within the pages of scripture. Who is responsible for developing the arguments from undesigned coincidences? What are some of the influential works on the topic? You can checkout the entire article here and we will continued to follow this series. 1. Beilby, James K. Thinking About Christian Apologetics. Pages 22-23. 1. Shlemon, Alan. The Ambassador's Guide to Understanding Homosexuality. pages 4-6. In this brief video, Michael Patton of Credo House Ministries discusses how to study the Bible. Patton also mentions a book entitled Living by the Book that readers can checkout here. 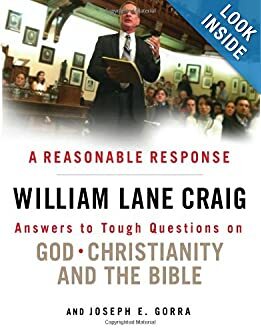 Dr. William Lane Craig has released a new book entitled A Reasonable Response. you to think for yourself so that eventually you're able to arrive at answers on your own. answers to their deepest questions." In this audio, Dr. Tim McGrew is interviewed on the topic of Undesigned Coincidences in the Gospels. Readers may also want to checkout J.J. Blunt's classic book on the topic here. You can checkout more great resources from Evidence4Faith here. In this video, Doug Powell argues that God provides the only coherent grounding for morality.